Small state; big history! Cross the George Washington Bridge and enter the Crossroads of the Revolution. 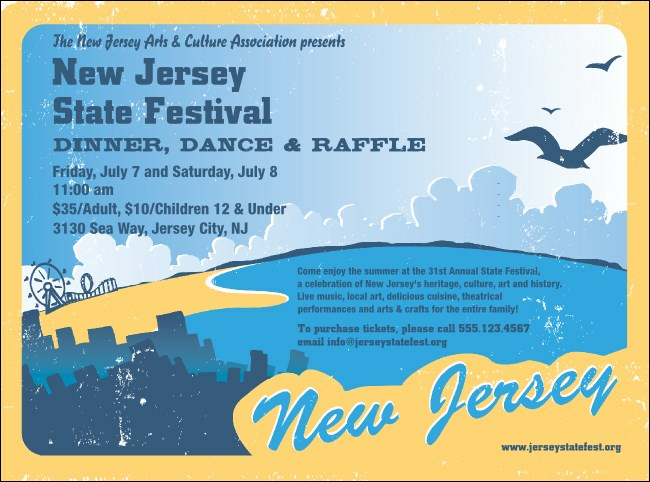 Everything happens in New Jersey, including your local gathering, and the New Jersey Flyer, helps your guests learn all the details so they can start happening too! Fill in your Jersey details in the template below! Declare independence from publicity problems with TicketPrinting.com.